A young motorist “indulged in lunacy” and “behaved like he was in a film” by driving at excessive speeds in Perth city centre while being pursued by police. On Wednesday, Perth Sheriff Court heard that Andrew Patterson, 20, Prosen Bank, Carnoustie, had been racing another driver in a bid to “show off” at 11.05pm. 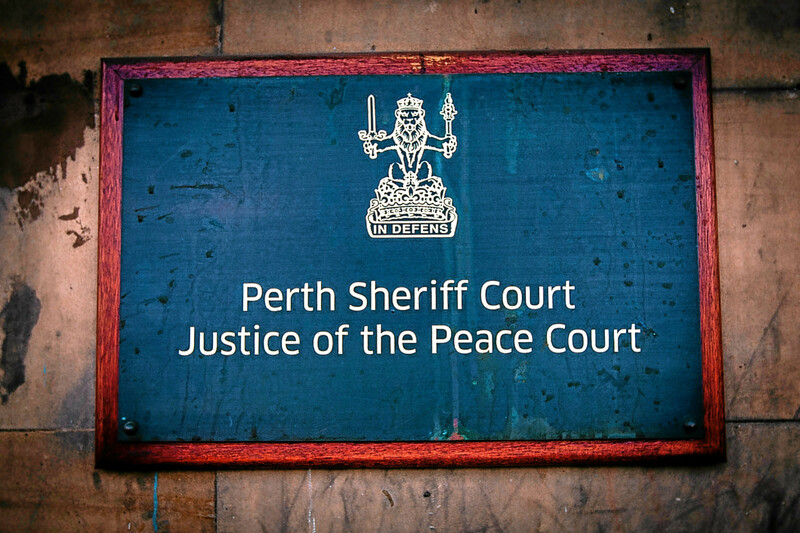 Depute Fiscal Carol Whyte said: “Police officers were on mobile patrol in Perth city centre and they saw two cars being driven at high speed down South Street, one of which was the accused. The police put their ‘blues and twos’ (flashing lights and sirens) on but both cars accelerated away. The court heard that Patterson was then traced in his car outside Friarton Skips but said nothing after he was arrested and charged at Perth Police HQ. Solicitor Theo Finlay, defending, said his client admitted he had driven at high speed. “My client was showing off to his friend,” he said. Patterson admitted that on August 18 last year, in South Street, Tay Street and Shore Road, all Perth, he failed to stop a car when required to do so by a police officer, drove dangerously, switched his headlights off, drove at excessive speed in a built-up area and continued to drive at excessive speed with no headlights on. Patterson was ordered to carry out 200 hours’ unpaid work in the community and banned from driving for 15 months, after which he will need to sit an extended driving test.